Marvel is maintaining that mum's the word. Long before Avengers: Infinity War launched in cinemas on April 27, fans have wondered what Avengers 4 is titled. Avengers: Big Ol' War to End the War that Came Before It and Also Kill Thanos, Too is a possibility. Avengers: Everybody Dies is another, thanks to Bruce Banner actor Mark Ruffalo's choice words in a past interview. And after Tom Holland's heart-squishing line in Infinity War, The Avengers Don't Feel So Good has some potential. Granted, those options probably won't end up being the real Avengers 4 title, but guessing is the game we have to play for now, since we won't know what the film is actually called until later this year. According to Marvel president Kevin Feige, the Avengers 4 title announcement won't happen until after the studio releases the first footage for Captain Marvel. "That'll be after the Captain Marvel teaser probably, announcing that title," Feige told Collider's Christina Radish during a press junket for Ant-Man and the Wasp. "It'll be towards the end of the year with however we launch that film." Captain Marvel is slated for a March 8, 2019 launch, almost exactly two months before Avengers 4 opens on May 3, 2019, so it makes sense that Marvel plans to prioritize the Brie Larson-starring standalone over the long-awaited fourth Avengers flick. Taking the studio's past pattern of teaser reveals and other major announcements, we anticipate catching the first look at Captain Marvel (which CineEurope attendees have reportedly already seen) in early fall and then learning the real Avengers 4 title when Marvel drops that movie's first teaser. Marvel released the first trailer for Infinity War on November 29, 2017, so it's safe to assume the studio might unveil the first footage from Avengers 4 around that time this year. Then again, perhaps Marvel will subvert expectations like it just did with the Spider-Man: Homecoming sequel. The studio allowed Spidey star Tom Holland to announce the title for the follow-up film, officially called Spider-Man: Far From Home, on Instagram, despite the actor being notorious for spilling information he definitely shouldn't. So who knows? 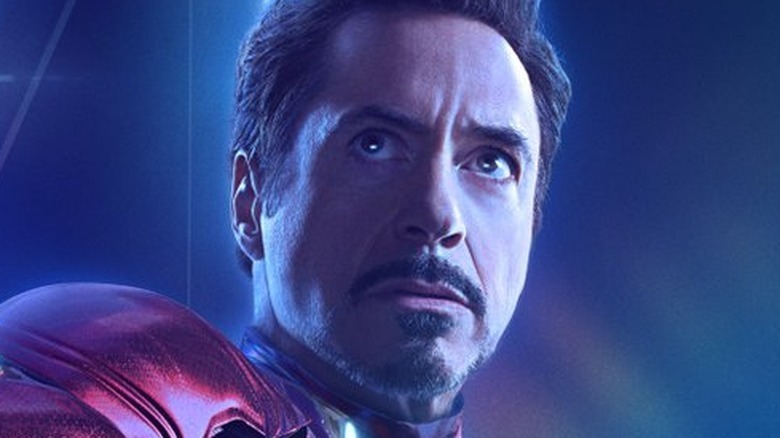 Maybe Robert Downey Jr. will pop on social media, light some fireworks, and tell us all we were right in assuming that Avengers: Forever was the film's official title.